Hi, my name is Andrew. I'm from Ukraine. I've been playing Sims for few months. My friend told me about that recently. Also I like to play such games like WoW, Gothic etc. Hello @Uncle_Drew. Welcome to the forum! I hope you enjoy your stay here. 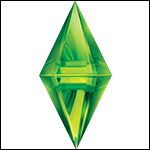 Good luck with exploring the world of The Sims!